Patrolman Lee Whitman was shot and killed by a prisoner who had been dropped off at the jail by another patrolman. 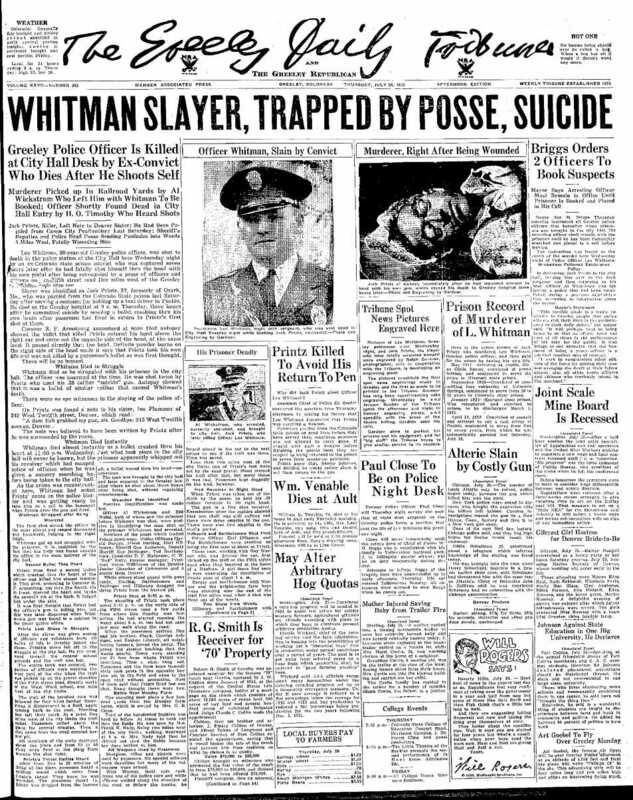 Patrolman Whitman was working at the complaint desk and prisoner booking area at the time. The suspect pulled out a .38 caliber handgun from his boot, shot him, and then ran from the jail. The suspect, a recently paroled Colorado convict, shot and killed himself as a posse closed in on him hours later.